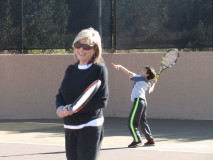 My 12 year old son, Ryan is putting his passion for playing tennis to a purpose! He has been raising money for The Aileen Sherman Memorial Fund and Kure It Cancer Research. Sadly, my mom Aileen, his grandma, past away last year from a very rare cancer. Kure It Cancer Research (501c3) established the Aileen Sherman Memorial Fund in her honor. The memorial fund and Kure It, help to raise money for orphan cancers, those underfunded rare cancers that desperately need research funding. Kure It provides funding for innovative research projects focused on underfunded cancers. The donations raised through Kure It & The Aileen Sherman Memorial Fund directly support groundbreaking research at leading cancer centers. For Rivals who want to Unite for a Kure, 2 local SoCal centers are the USC Norris and UCLA Jonsson Comprehensive Cancer Centers. They may fight on the field, but they join forces to fight for a cure. Ryan has raised $6,000 so far! 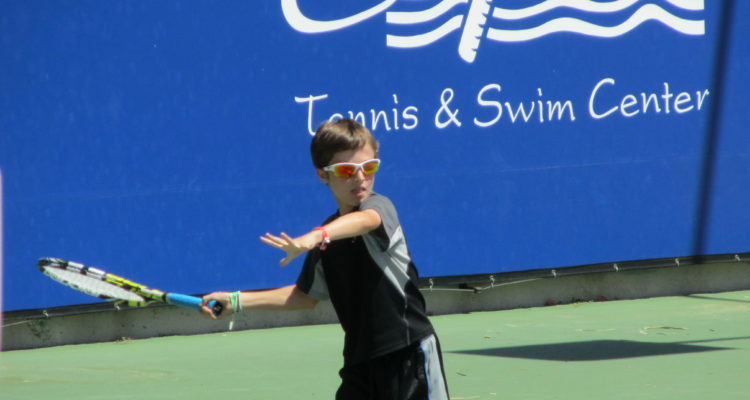 The Calabasas Junior Tennis Open and fundraiser is this weekend. He needs your help to reach his goal of $15,000. Please click on his – Game On For A Kure today and help him serve up a Kure against cancer! I’m a proud momma who is humbled by his desire to make a difference. No Comments on "Game On For A Kure"